UNITED KINGDOM: The National College for High Speed Rail (NCHSR) has launched the UK’s first Certificate of Higher Education (CHE) in high-speed rail and infrastructure. The new qualification was made in partnership with other organisations within the rail industry, and aims to ensure that students at the college will learn the transferable higher-level skills needed to drive forward the UK’s high-speed rail works forward. The new Level 4 CHE will only be available at the NCHSR’s campuses in Doncaster and Birmingham, which are set to open in September this year. The CHE will last for one year for full-time students and two years for those studying part-time, and is designed to provide students with a strong understanding of the high-speed rail industry. Students will be given an employer mentor and spend a third of their time on a work placement, ensuring they have the practical skills and experience to hit the ground running once they have graduated from the course. Alongside CHE, the college will also have programmes for high-speed rail and infrastructure technical apprenticeships, operations and departmental manager apprenticeships. 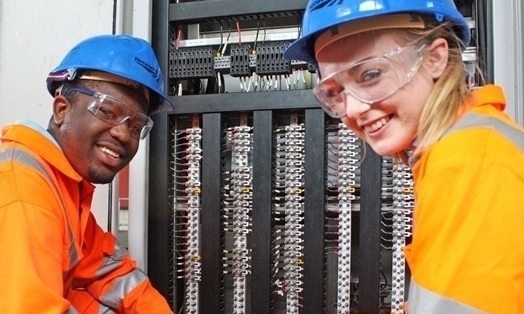 The aim of the college is to help plug the 69,000 shortage of engineers in the UK, as well as put young ambitious workers into the 25,000 jobs that will be made by the construction of HS2. “Our new CHE in high-speed rail and infrastructure is a landmark moment in the development of the curriculum of the college as we put in place the foundations to ensure that British students learn the world-class skills that employers need,” said Clair Mowbray, chief executive for the NCHSR. “As an employer-led college we are working with industry to help play a major role in helping reduce the UK skills gap in engineering and produce a new generation of engineers equipped with the skills that businesses need,” she added.